The two sample applications you run in this quickstart are written using Python. 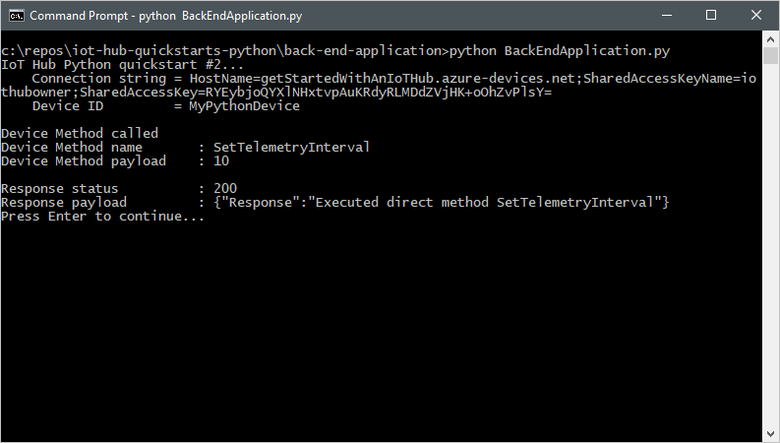 Currently, the Microsoft Azure IoT SDKs for Python support only specific versions of Python for each platform. To learn more, see the Python SDK Readme. This quickstart assumes you are using a Windows development machine. For Windows systems, only Python 3.6.x is supported. The Python installer you choose should be based on the architecture of the system that you are working with. If your system CPU architecture is 32 bit, then download the x86 installer; for the 64bit architecture, download the x86-64 installer. Additionally, make sure the Microsoft Visual C++ Redistributable for Visual Studio 2017 is installed for your architecture (x86 or x64). You can download Python for other platforms from Python.org. 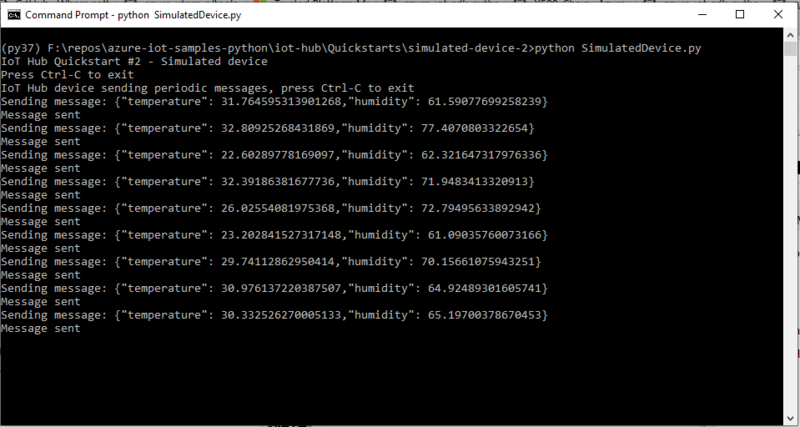 If you haven't already done so, download the sample Python project from https://github.com/Azure-Samples/azure-iot-samples-python/archive/master.zip and extract the ZIP archive. 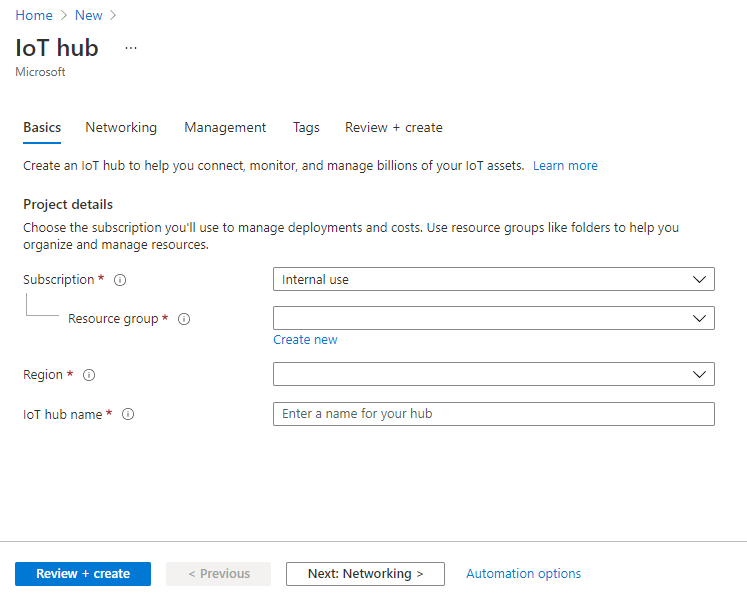 YourIoTHubName : Replace this placeholder below with the name you chose for your IoT hub. MyPythonDevice : This is the name given for the registered device. Use MyPythonDevice as shown. If you choose a different name for your device, you will also need to use that name throughout this article, and update the device name in the sample applications before you run them. 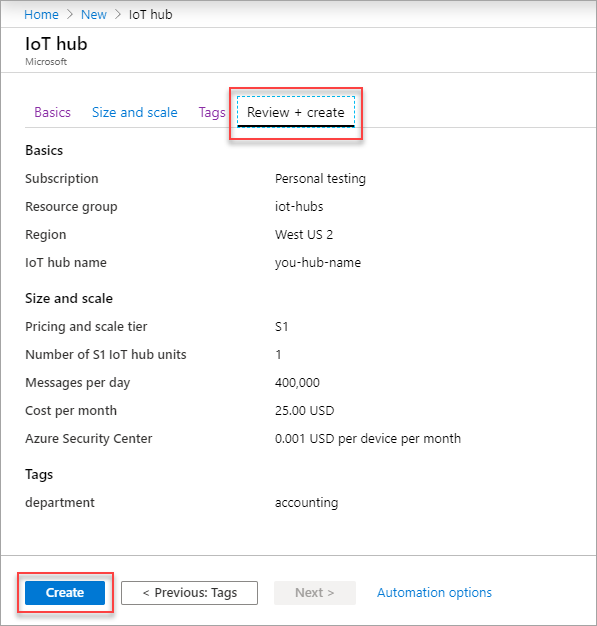 YourIoTHubName : Replace this placeholder below with the name you choose for your IoT hub. In a local terminal window, navigate to the root folder of the sample Python project. 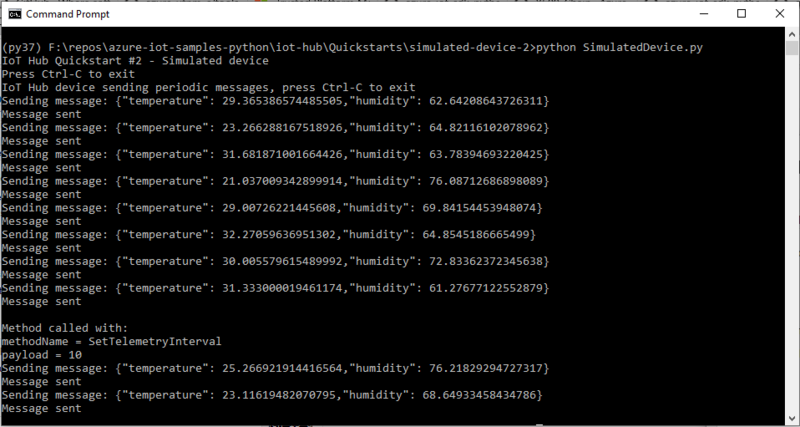 Then navigate to the iot-hub\Quickstarts\simulated-device-2 folder. Open the SimulatedDevice.py file in a text editor of your choice. Replace the value of the CONNECTION_STRING variable with the device connection string you made a note of previously. Then save your changes to SimulatedDevice.py file. In another local terminal window, navigate to the root folder of the sample Python project. 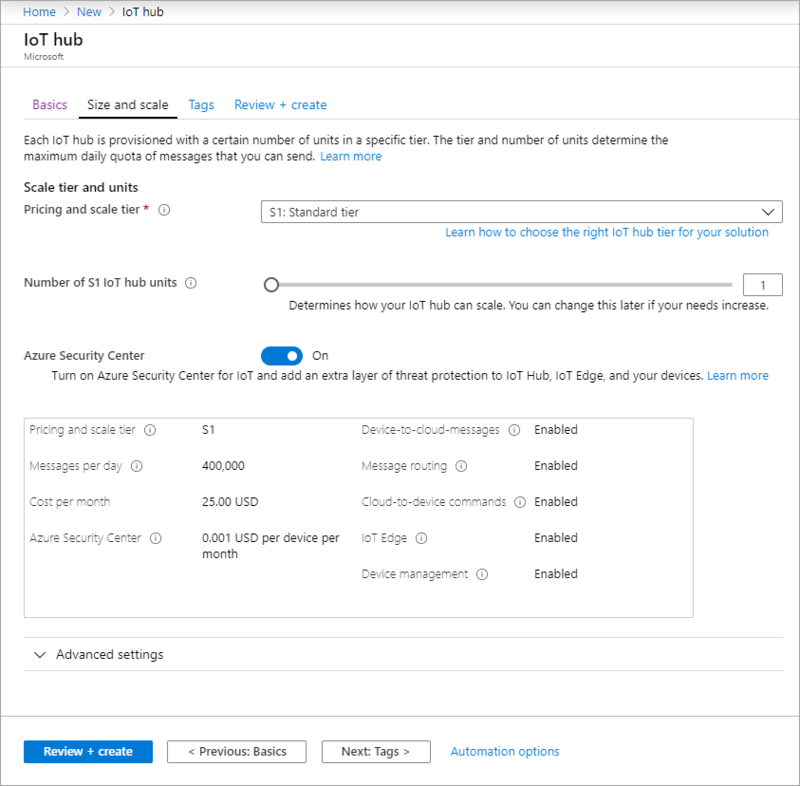 Then navigate to the iot-hub\Quickstarts\back-end-application folder. Open the BackEndApplication.py file in a text editor of your choice. Replace the value of the CONNECTION_STRING variable with the service connection string you made a note of previously. Then save your changes to the BackEndApplication.py file. In this quickstart, you've called a direct method on a device from a back-end application, and responded to the direct method call in a simulated device application.